In this area of the website, you can learn about our line of VES/Delta series desktops, rackmounts, and portable computers. The VES/Delta 1000 series are full size desktop editng solutions, designed with the features and power to run Avid Media Composer or Avid Liquid editing software. The VES/Delta 3000 series are high performance laptops (deskbooks) designed for office/home use with a docking station as a complete workstation; or on the road as a self-contained laptop. The RED DISK is our exclusive solution for never having to worry about software corruption. 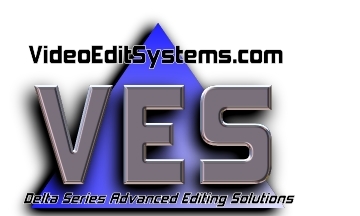 Editing Workflow discusses how our VES/Delta editing systems become complete editing SOLUTIONS.